After double-nominee William Shatner opened the 15th Annual Screen Actors Guild Awards® red carpet on January 25, 2009 with the traditional Champagne Taittinger toast, film and television’s finest performers chatted with media from around the world, posed for photographs and greeted cheering fans, all under the shelter of huge translucent tents. For the second year in a row, the Los Angeles’ winter weather that had threatened to dampen the proceedings instead turned sunny and bright, casting a warm glow on the Los Angeles Shrine Auditorium. SAG Awards® nominees, presenters and their guests, joined by entertainment industry leaders, passed through a silvery shimmering tunnel before entering the elegant showroom, which combined new and familiar elements as part of this year’s SAG Awards ‘going green’ initiative. The SAG Awards’ focus on actors inspired the ceremony’s production design and décor. At center stage, floating against a twinkling background, a gold-framed silver screen once again showcased the nominated performances and tributes to the SAG membership that are at the heart of the event. A new luminous sunburst radiated out from the screen, adding even more light to a stage punctuated by art deco references harkening back to the Guild’s founding years. Crystal chandeliers that accented the stage lighting were echoed in overhead fixtures throughout the showroom. Carrying on the tradition of saluting the Guild’s membership that began at 1st Annual Screen Actors Guild Awards, Evan Rachel Wood introduced a filmed salute to performances that were “Trailblazers” either in their casting or subject matter. Following an engaging filmed tribute and a protracted standing ovation, Forest Whitaker presented James Earl Jones with Screen Actors Guild’s highest honor, the 45th Annual Life Achievement Award.  The awarding of this year’s Actor® statuettes was preceded by the announcement from the SAG Awards red carpet by SAG President Alan Rosenberg and SAG Awards Committee Chair JoBeth Williams of SAG’s honors for the outstanding performances by a stunt ensemble in television and film, which was webcast on TNT.TV and TBS.com’s live pre-shows. For the thirteenth consecutive year PEOPLE magazine and the Entertainment Industry Foundation (EIF) celebrated actors’ charitable endeavors by making a generous donation to the SAG Foundation and by hosting the official SAG Awards Gala on the backlot of the Shrine. Yellow roses brought bursts of warm color to the massive tent lined with bronze draperies. Warm tufted brown leather seating invited lingering conversation and dining, until a performance by the rock legends comprising the Rock ’n’ Roll Fantasy Camp All Stars, brought guests up on the feet and onto the dance floor in an exuberant celebration which lasted long into the night.